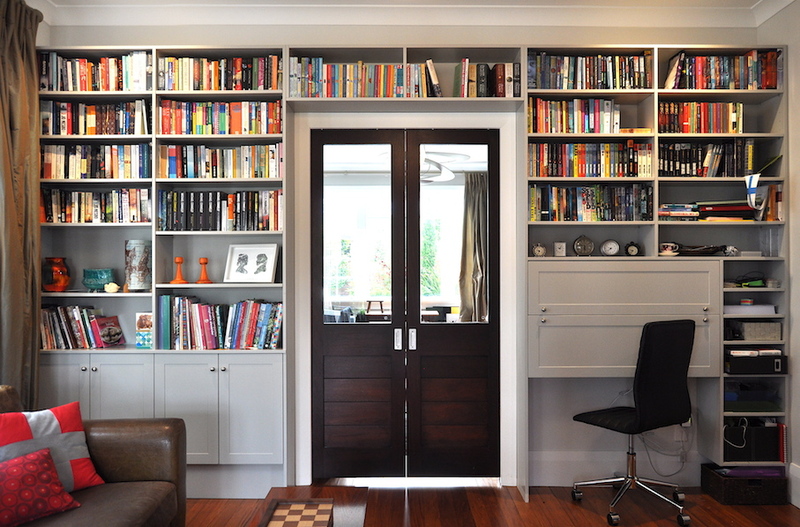 Two adjacent rooms in this Karori, Wellington home were in need of some fitted library shelving. In one room the shelves were to house the piano, and in the second room the shelves were required to incorporate a fold down desk for our clients home office space. We presented designs which our clients were thrilled with. 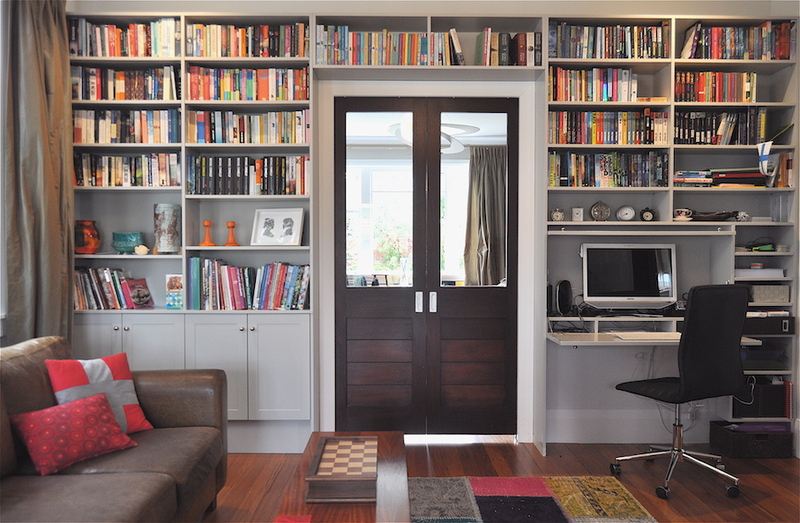 The two rooms mimic each other, yet have their own individual feel guided by the use of the room. 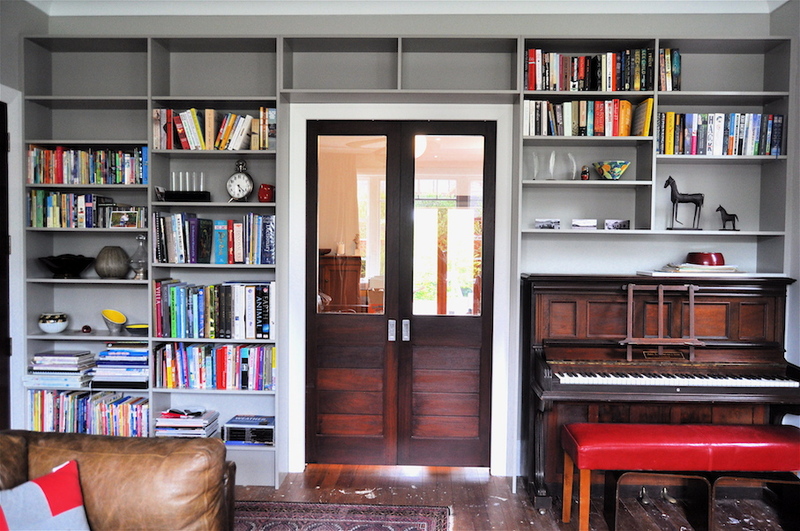 The painted cabinetry colours contrast well with the darker wooden doors and floors. The fold down desk space is compact, but houses the printer and works perfectly well within the room as a whole.